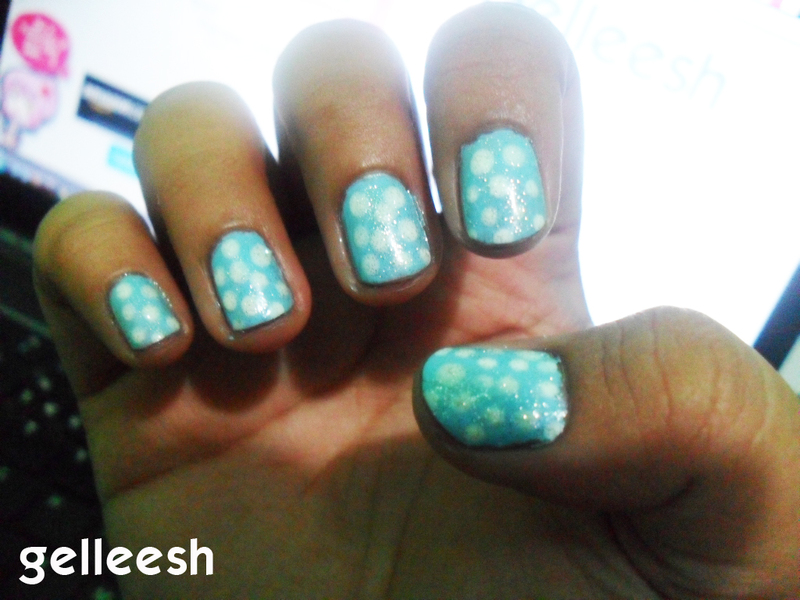 This is a simple nail art design; but I loved it so much. I guess I shouldn't make up something too eccentric because I almost always end up messing my nails up. First, apply the Caronia Nail Hardener and Base Coat. After that, apply two coats of the Etude House Blue Nail Polish. Then, using thw hair pin's round edge, dip it in the Caronia White Satin Nail Polish and just dot it on your nails. For the final touch, use the Caronia Fast Dry Top Coat. I love the color combination! Cute nail art! BTW, Gellie, I wanna invite you to my first giveaway! Hope you can join! Thanks!